Meditation isn’t only a luxury for those who can dedicate some time to it each day, meditation is a necessity for our world and the human species to survive. If we want to achieve peace in the world, we first need to achieve peace of mind, to obtain peace of mind, we need to meditate. Here is a Kundalini Yoga meditation that helps you to invoke a meditative state. Sit in Easy Pose with a straight spine and your eyes closed. Take a few conscious deep breaths and center yourself. Open your meditation session by bringing your hands into Prayer Pose at the heart centre and chant the Adi Mantra ‘Ong Namo Guru Dev Namo‘ three times. Bring your right hand up to shoulder level, the forearm parallel to the spine and make a solid fist, thumb on the outside, palm of the hand facing forward. Your left hand is up by the shoulder with a sharp bend in the wrist, make sure the palm of your hand is facing upward, keeping your fingers parallel to the ground, pointing towards the left and your forearm parallel to the spine. Try to keep your hand and fingers flat and straight. Inhale deeply, long and slow, completely through your nose, Then completely empty your lungs in the same conscious and controlled manner. When you are completely empty hold the breath out to your maximum, without straining. When you need to inhale again, repeat the same consious way. You should not feel like you are choking. Keep breathing like this. Inhale deep, exhale completely and hold for as long as possible. Practice this meditation for up to 11 minutes. If that is too much, start with 3 to 5 minutes and increase your time step by step. The maximum amount of time to do this meditation is half an hour. 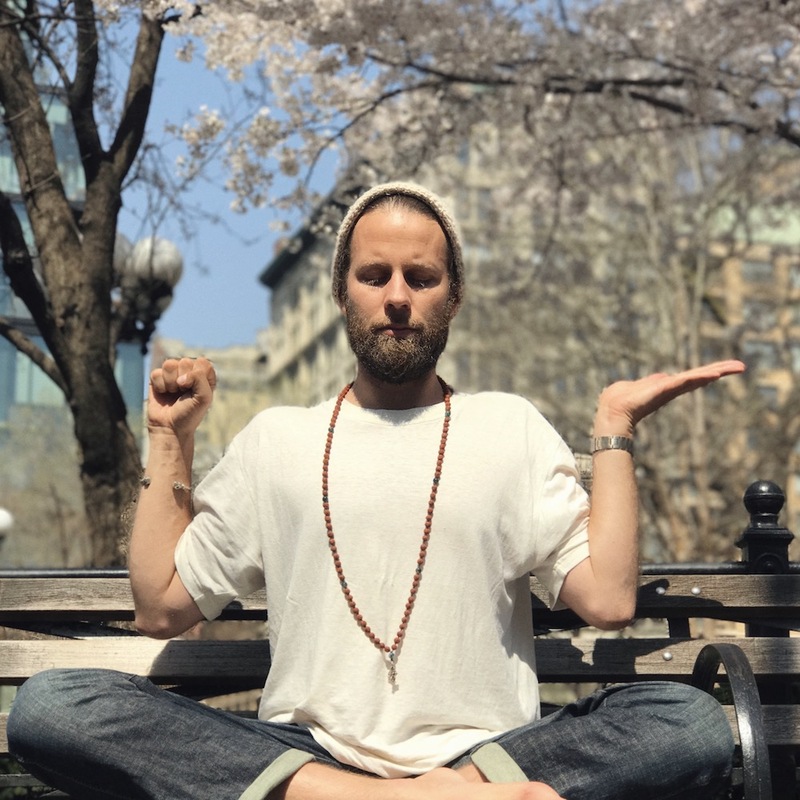 Rapidly inhale and exhale twice (2 seconds inhale, 2 seconds exhale) and then inhale, hold the breath in for 10 seconds, and stretch both hands up and tighten the body. Exhale and relax. End your session by again bringing your hands together in Prayer Pose at the Heart Centre and chant the mantra ‘Sat Nam’ three times.